Sales of prescription opioids and deaths from prescription opioid overdoses have nearly quadrupled in the United States since 1999, according to the CDC. But until very recently, medical schools offered little or no training in addiction medicine, leaving many internists to face challenging patients and clinical decisions on their own. The opioid epidemic rages on in Massachusetts, where deaths from accidental overdose more than doubled between 2012 and 2015, according to the state health department. In response, Gov. Charles Baker convened a working group whose 55 recommendations included the proposal that student clinicians learn the foundations of safe opioid prescribing. As a result, all four medical schools in Massachusetts worked with the state health department and the state medical society to develop 10 “core competencies” in preventing and managing prescription drug misuse, said state health commissioner Monica Bharel, MD, MPH. 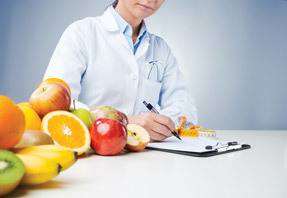 “Teaching these competencies in medical school is crucial, while students are developing lifelong practice habits and before they begin prescribing,” she emphasized. 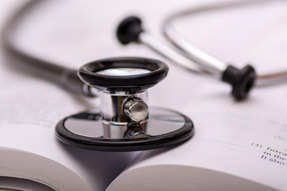 The core competencies are designed so that all medical students in Massachusetts will, by the time they graduate, have learned to evaluate pain, addiction risk, and pharmacologic and nonpharmacologic options for pain management; recognize prescription drug misuse; develop patient-centered addiction treatment plans; identify a case of opioid overdose; and correctly use naloxone rescue therapy. Students also will be asked to place substance abuse disorders within a chronic disease framework and recognize their own internal biases as well as social stigmas against affected patients. Medical schools in the state are now weaving these competencies into new and existing curricula, Dr. Bharel said. For example, the University of Massachusetts has added relevant cases to its fourth-year final exams and has rolled out a new “Opioid Conscious Curriculum” that spans all four years of medical school. At Tufts University School of Medicine, third-year students now spend a day interviewing standardized patients who exhibit chronic pain and risk factors for prescription drug misuse, first-years are studying a chronic pain case that incorporates basic science and clinical medicine, and faculty are mapping the existing addiction medicine course to the 10 core competencies. Change is happening elsewhere, too, albeit more gradually. At Case Western Reserve University in Cleveland, Theodore Parran, MD, FACP, has spent more than 20 years teaching an intensive remedial course on controlled drug prescribing for health professionals, many of whom have been identified as overprescribers by their licensing boards. Based on that feedback, Dr. Parran and his colleagues distilled the remedial course into an optional series of in-person and online seminars that fourth-year medical students can take a month before the residency match. About a third of seniors joined the first two pilot versions of the course, and the faculty are now pursuing funding to expand it. Ultimately, Dr. Parran hopes that Case Western can offer this course and a more advanced version for residents to students and trainees from all institutions, he said. Howard Heit, MD, FACP, suffered years of severe, disabling pain after an automobile accident ended his career in gastroenterology. Convinced that physicians needed a much better understanding of pain medicine and its “dark side,” addiction, he subsequently retrained in both fields. Dr. Heit then helped create an American Society of Addiction Medicine course that “brought pain and addiction doctors into the same room to talk and learn from one another” and spent nearly two decades treating patients with pain, addiction, or both. But compassion is only a start. Medical school graduates also need to have mastered the appropriate use of opioid risk assessment tools, written treatment agreements, urine drug tests, and most importantly how to interpret an unexpected positive or negative result. They must learn appropriate documentation in the medicolegal record, Dr. Heit said. They need to know how to convey realistic expectations for treatment response and consistently assess patients based on “the 4 A's”: analgesia, activities of daily living, adverse events, and aberrant drug-taking behaviors. Consequently, medical students and residents must learn to say “no” when pressured to prescribe opioids against their better judgment, Dr. Parran said. Massachusetts Department of Public Health Governor's Medical Education Working Group on Prescription Drug Misuse. Medical education core competencies for the prevention and management of prescription drug misuse. Accessed on Sept. 13, 2016. Pearls of pain medicine fall into the 10 “universal precautions” that Howard Heit, MD, FACP, and fellow addiction specialist Douglas Gourlay, MD, MSc, described in the March-April 2005 Pain Medicine. They recommend following these steps whenever treating a patient in pain, regardless of personal impressions of addiction risk. Doing so can help minimize stigma, improve patient-centered care, and lessen the inherent risks of opioid therapy, Dr. Heit emphasized.